Brandon was determined to do everything right. His passion was to brew great, novel beers. He also worked to ensure his beers were microbiologically perfect because Brandon knew that if he wanted customers to drink his beer, the beer had to be totally clean. Brandon was particularly proud of his latest Mexican Lager since he had received many nice comments on the high quality. Also, he won a medal on this beer's quality in a regional beer competition. 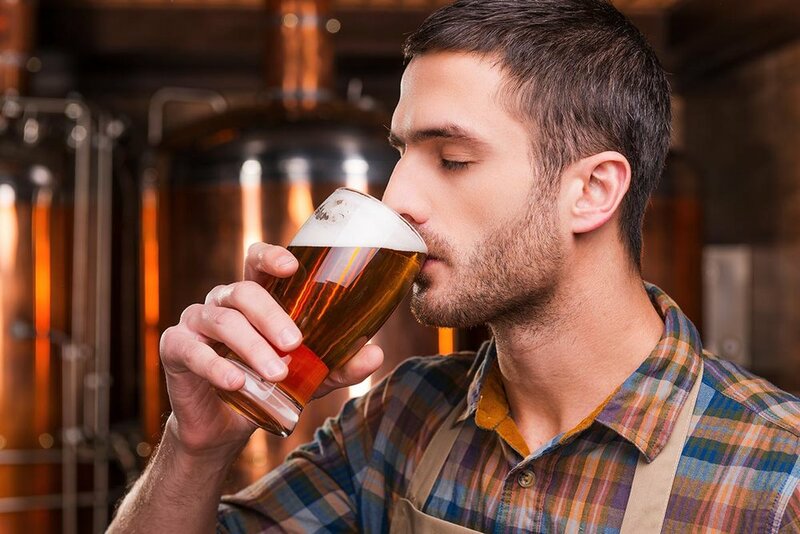 Since Brandon only used the very best line cleaner, Draftec, he knew that any biofilm had been completely eliminated from his latest round of line cleaning and felt confident his beer's flavor would be perfect. But when he connected the Mexican Lager to that particular line and, like any good brewer, tasted the beer, he knew the beer just was not quite right; there was an off flavor in his beer. After rethinking everything about his beer and the beer line that could've contributed to the off flavor in his prize-winning beer, he remembered that he had previously had a root beer connected to that particular line. And - wait - the Mexican lager appeared to have a slight tinge of root beer flavor. How could that be? Brandon researched the problem and learned that some flavors are chemically complex and bond to some beer line materials. Flavors such as root beer flavor, blueberry flavor, even Belgian Wit flavors can be problematical, and he did not want those flavors carrying over to his award-winning Mexican Lager. Brandon also learned that normal line cleaning might not necessarily remove all these bonded flavors from his beer line, especially a stubborn root beer flavor. What to do? He was feeling pretty worried because most people that he checked with said they had to replace the entire line to remove the residual root beer flavor. Then Brandon remembered he had heard that there was a new product in the marketplace called FlavoTec. He had heard FlavoTec was an entirely harmless, amorphous product which has the unique ability to remove (lift) any extraneous bonded off flavors sometimes found in beer lines when used after line-cleaning. Brandon decided to try FlavoTec. He used the product just like the instructions directed to see if FlavoTec could remove the off flavor in his beer as it promised. After use, he reconnected his Mexican Lager to the troubled beer line once again, and this time when he tasted it he had absolutely perfect beer flavor! Brandon was astute enough to be up to date on these new products, and he was indeed glad that he had taken the trouble to try FlavoTec to remove the off flavor in his beer rather than replacing his beer line. FlavoTec - from the makers of Draftec line cleaner - when you need to be certain your beer flavor is absolutely perfect, as the Brewmaster intended. FlavoTec is almost on the market; please contact us today to get on the wait list.